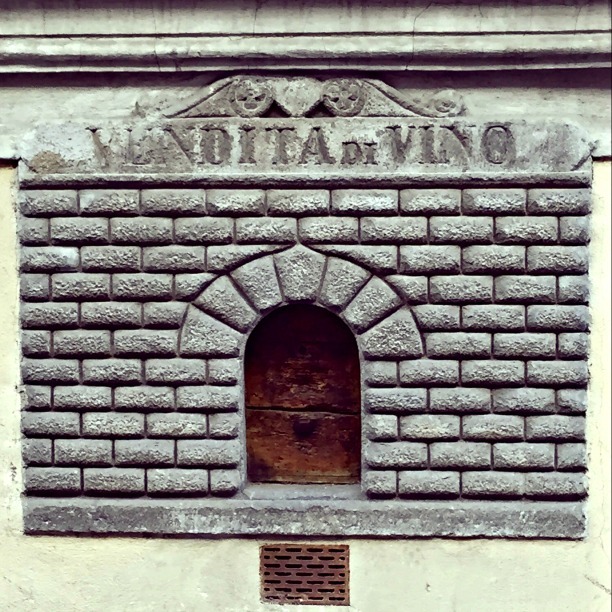 The original, preserved door of a wine bar on the street! Florence is a city bursting with a number of fantastic wine bars to experience. In Italy, wine bars are called enoteca. 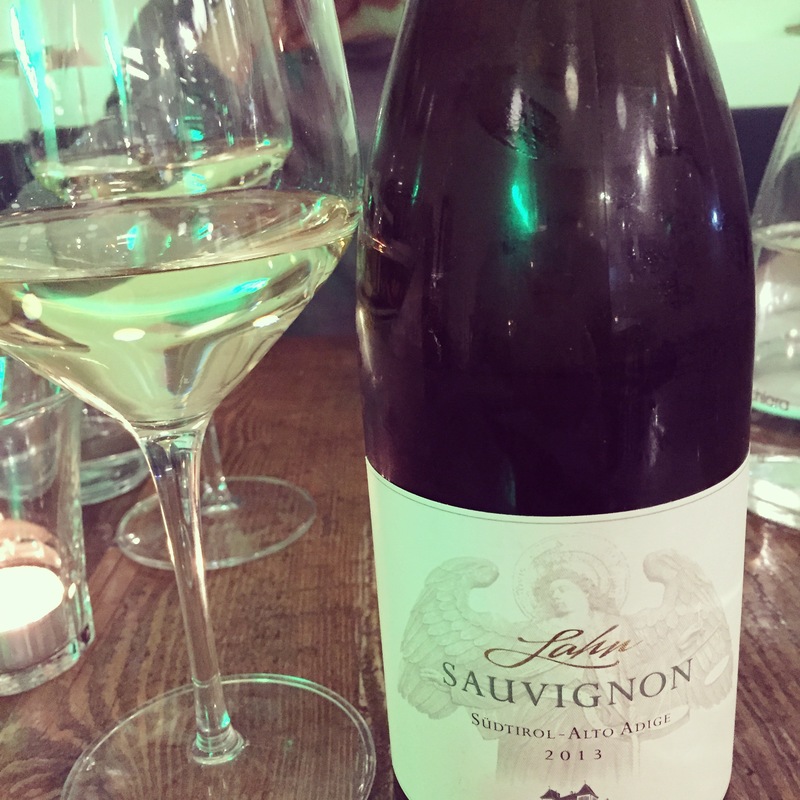 You can have an excellent meal and of course, taste a number of fantastic wines without having to buy an entire bottle, or settle for a house wine. Here are a few of our favourites — from historical wine bars where can you can enjoy traditional Florentine street food to bars that are a little fancier, there’s something on this list for everyone! Fiaschetteria Nuvoli is one of the oldest wine bars in town. Just seconds away from the Cathedral you can enjoy a delicious lunch or light dinner at this ancient, family-run wine bar. Fiaschetteria translates to ‘wine tavern’ in English, and their symbol is that of an ancient wine bottle from the Chianti region with a straw base — a true symbol of Italian wine. At Fiaschetteria Nuvoli you will find local, seasonal fare that you can enjoy with house wine, or with a wine of your choice from the local Tuscan wine estates. Address: Piazza dell’Olio 15/r, 50123, Firenze. In the district of St. Lorenzo close to the Central Markets, you’ll find one of the best paninis in town — how does pomodoro di pachino (a tomato from Sicily), oregano, capers, and burrata cheese sound? Choose from a top wine list from the top three Italian Bs: Barolo, Barbaresco and Brunello from small boutique wineries all over Italy. You can even pop into Casa del vino for an apéritif before dinner for a taste of local crostini with seasonal toppings such as chicken liver pate, grilled vegetables, and local pecorino cheese with a drizzle of honey. Address: Via dell’Ariento 16r, 50123, Florence. Sample all the wines at Mangiafoco! Situated just minutes from the Ponte Vecchio and around the corner from Via Tornabuoni, a street filled with high-end fashion labels, you will find the wine bar of your dreams. Mangiafoco offers over 100 labels of superb wines ranging from local, regional wines to specialty wines. Sample a platter of local salumi (Italian cold cuts), pecorino cheese and other delicious treats that will pair perfectly with your chosen wine (or wines!). You can also choose from their menu of hot foods, first courses, and second courses. If you are a true wine lover you’ve found your new home! Address: Borgo Sant Apostoli 26r, Firenze, 50123. If you’re looking for something a little more eclectic, check out this new establishment in Florence! The owner Costanza, is a collector of vintage furniture, so the interior of this wine bar is unlike anything you’ve probably seen before. Costanza selects wines that showcase regional flavours from local Tuscan wineries, mainly from Chianti. Her cheese and meat selections are also of the best quality. 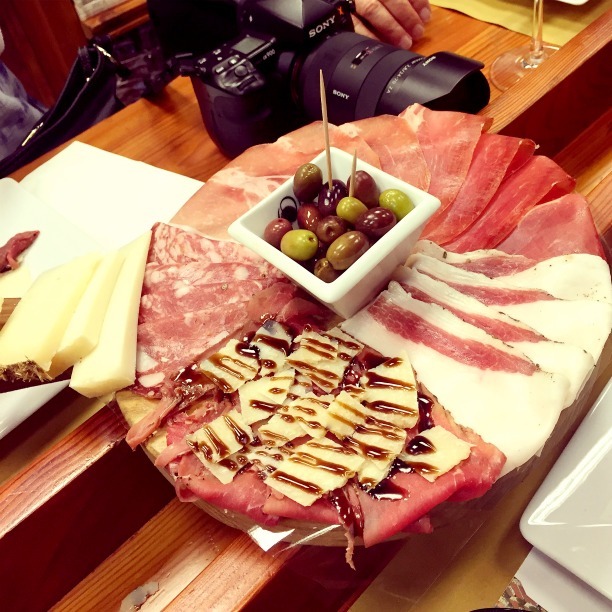 You can taste the mortadella (Italian pork sausage or cold cut) from Prato, eat cheese from Piedmont, and sip on several delicious, local wines. Address: Borgo Ognissanti 25r, 50123, Firenze. If you are enthralled with Italian wines and are interested in learning more about wine pairings and wine selections, Signorvino is sure to fuel your interest and excite your taste buds! 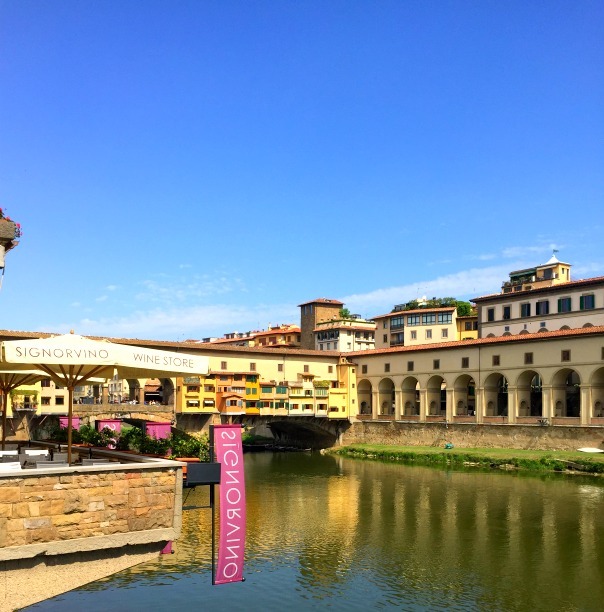 With one of the best views in Florence, this wine bar overlooks the iconic Ponte Vecchio. Their gobsmacking selection of wines from all over Italy are sure to please even the pickiest wine connoisseurs. Address: Via dei Bardi 46/r, 50125, Firenze. This place has one of the biggest wine selections in Florence. 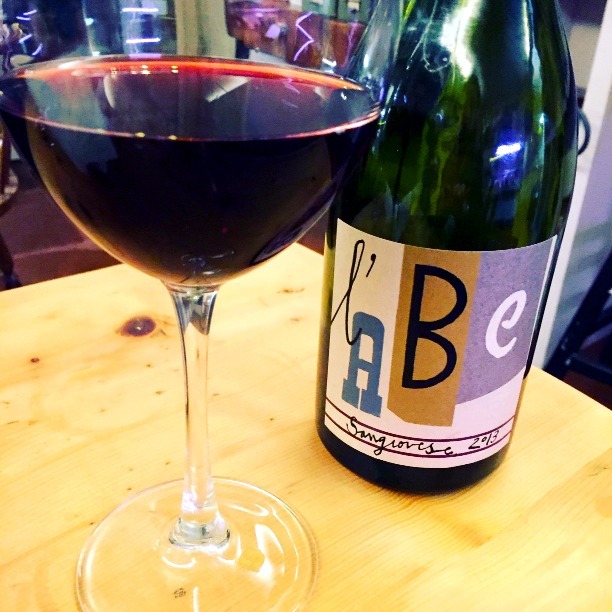 Aside from local and Italian wines, Fuori Porta carries French and international wines as well. It’s the perfect stop before or after a climb to take in the most gorgeous view in Florence: the Piazzale Michelangelo. Stop in for lunch or dinner and enjoy a delicious meal. Whether you want a substantial meal, or something a little lighter with your wine, Fuori Porta has something for everyone. Try the crostini with toppings like gorgonzola and pear jam or tomatoes, mozzarella di bufala, and a drizzle of Tuscan extra virgin olive oil. If you happen to be there in the summer, sit out on the terrace to enjoy fantastic views of the old city wall that was designed by Michelangelo. Address: Via Monte alle Croci 10r, 50125, Firenze. The front view of this wine bar is enough to entice anyone walking by to come in for a drink! 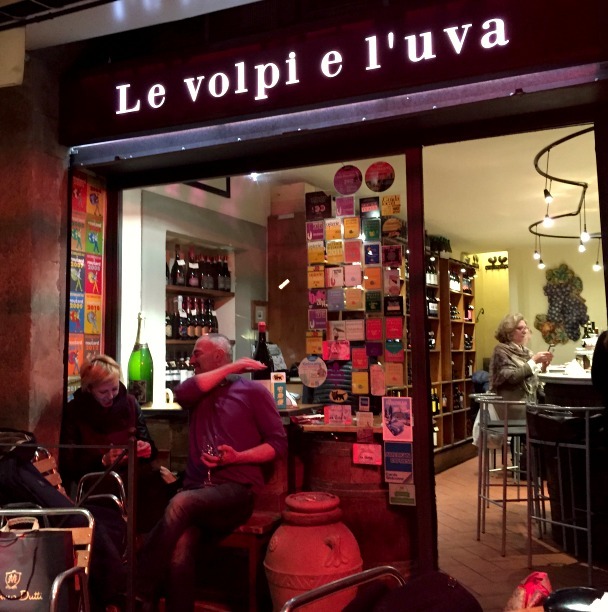 If you’re looking for a traditional Florentine wine bar experience, Le Volpi e l’Uva is the place to visit! Enjoy delicious local wines — mainly reds that include Chianti Classico, Rosso di Montalcino, and Super Tuscan. Pair your wine with salumi and cheese platters with a massive selection that includes French cheeses and regional cheeses from Piedmont. Address: Piazza dei Rossi 1R, 50125, Firenze. Mmm… La Volpe e d’uva sure knows their cheeses! This is a dining experience you shouldn’t miss. Pitti Gola is a family-run wine bar that is quite small, so definitely book in advance to make reservations. If you’re looking for an educational (and tasty!) experience regarding regional Tuscan wines, you’ve found the right place! They mainly carry red wines from Italy and the Tuscan region, but they have some fabulous champagne and Franciacorta sparkling wines too. Address: Piazza Pitti 16, 50125, Firenze. If your heart is set on reds, pay a visit to Pitti & Gola! This tiny but charming spot is a fantastic place for a glass of wine and a divine selection of crostini. You can sit in the pretty Piazza della Passera square and enjoy a taste of organic local wines, or sit inside their lovely contemporary space. Address: Via dello Sprone 13, 50125, Firenze. This is one of our favourite locations situated in the Oltrarno quarter of the city. You can pop in for a light lunch or enjoy a glass of wine in the evening. The place may be tiny, but it is a Florentine hot spot, with people pouring out onto the streets. Locals mainly sip on national wines, with each glass accompanied by a crostini. Varied cheese and meat platters are available too. Address: Via di Santo Spirito 60, Firenze.